Nobody likes to think about worst case scenarios. But you can be safe in the knowledge that our passenger lifts won't let you down should the worst happen. We're able to supply a range of emergency lifts, from firefighters lifts through to evacuation lifts. We can even upgrade an existing lift into an emergency lift. Can lifts be used in the event of a fire and for evacuation? Typically lifts are not used in the event of a fire. Most lifts go to ground level and shut down in the event of an alarm (in accordance with British Standard EN 81-73:2016; Behaviour of lifts in the event of a fire). However, there are certain types of passenger lift that can aid the fire and rescue service and emergency evacuation in the event of an emergency. Our firefighting lifts comply to fire fighting lift regulations (BS EN 81 72) and help firefighters access all areas to help tackle a blaze. Our evacuation lifts (BS EN 81 76) ensure the passenger lift can be used a means of escape for building occupants in an emergency. These lifts operate as normal passenger lifts with the capability to switch into an emergency state if required. What is a firefighters lift? Exclusive use of a passenger lift by the fire service to carry firefighters and their equipment to the required floors in the event of a fire. Fire fighting lifts are required in housing where the building has a floor more than 18m above or more than 10m below fire service vehicle access level. Enables the use of a passenger lift by a designated warden in an evacuation strategy to evacuate those less ambulant. Lift sizes Available from 8 person and up, but more commonly used in larger capacity passenger lifts for movement of disabled users, beds and stretchers. We have a broad range of experience installing fire-fighting and evacuation lifts, providing the right solution for our customers. 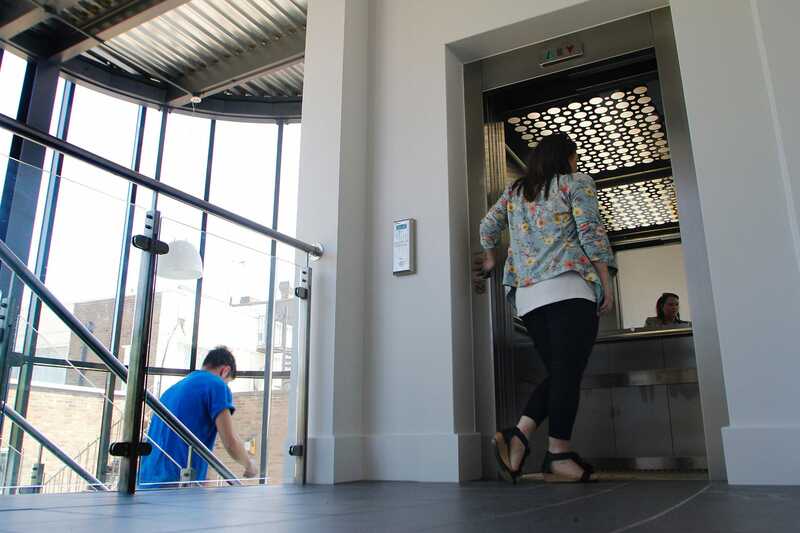 Whilst lift shaft and lift car sizes remain the same as our standard passenger lift range, every one of these emergency lifts can be uniquely configured. So it’s always worth getting in touch with the Stannah technical team to discuss further.